This Soleil Royal model ship is supported by a solid wooden stand and brass. It also is decorated with higher quality carvings. 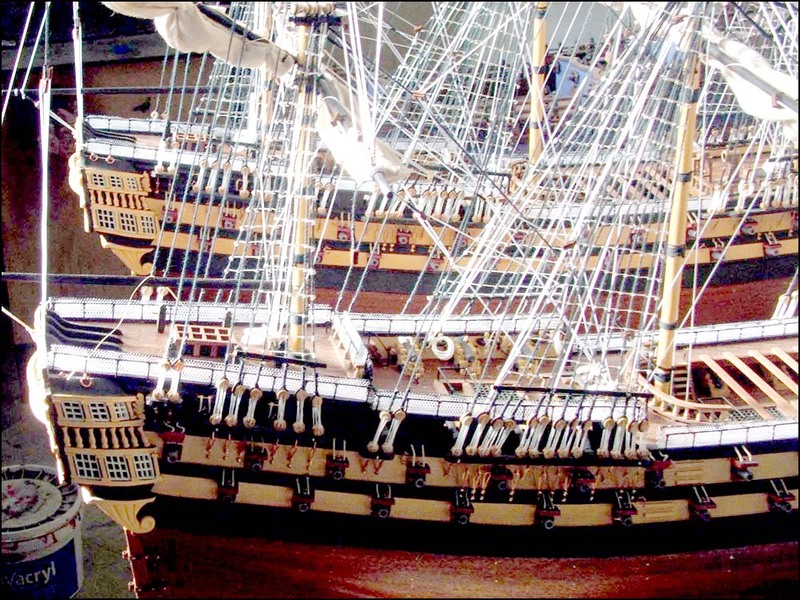 Le Soleil Royal is the perfect gift for French friends who love naval history or work in the shipping industry. This model is supported by a solid wooden stand & brass supports. It also is decorated with higher quality carvings.